Our team of skilled, experienced craftsmen perform all of their work to the highest professional standards, delivering beautifully crafted, precision-installed ironwork which adds beauty, functionality, and value to every property. We perform all work to code and can extend the life of our pieces with galvanized, metallized, or powder coatings. Once installed, our steel construction is backed by a two year warranty for both labor and materials. In addition, we offer repair and replacement services. In business since 1980, B.A. Ramirez & Sons Ornamental Iron Works, Inc. has accumulated thousands of satisfied customers. Our ironwork can be seen across homes, businesses, condominium complexes, gated communities, parks, and schools throughout San Diego County. 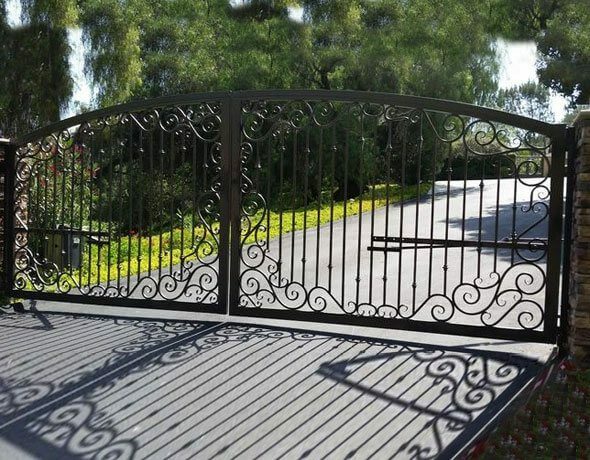 By offering quality workmanship, affordable prices, written warranties, and highly personalized service, it's no wonder that we have a reputation for providing Rancho Santa Fe's best value in custom iron work services. Contact us today for a free online estimate. Contact B.A. Ramirez & Sons Ornamental Iron Works, Inc. today to learn about our comprehensive residential and commercial iron work services available in Rancho Santa Fe. No project is too large or too small for our skilled iron work professionals. B.A. 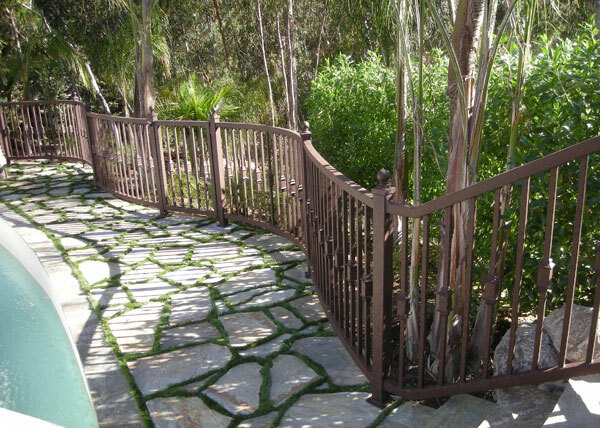 Ramirez & Sons Ornamental Iron Works, Inc. has been building and installing quality iron fences for Rancho Santa Fe commercial and residential customers since 1980. We can create all types of iron fences in any design, from traditional to modern. Our custom fencing is ideal for Rancho Santa Fe properties, yards, gardens, pools, and other outdoor areas. We can recreate an iron fence and gate you saw while travelling in Europe or create a unique fence and gate based upon a few photos you like. Design options include but are not limited to smooth or hammered pickets, decorative iron castings, flowing design work, colorful finishes, and more. As we develop your fence design, you can count on us to cost-saving modifications and alterations to maximize its life expectancy and functionality. Call us today and get a beautifully crafted iron fence for your Rancho Santa Fe business or home. Our iron fencing experts are standing by to answer your questions and assist you in customizing your iron fence. At B.A. 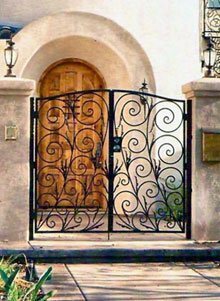 Ramirez & Sons Ornamental Iron Works, Inc., our experienced craftsmen can design, build, and install any type of iron gate you desire for your Rancho Santa Fe home, gated neighborhood, business, or industrial property. 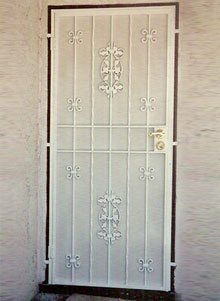 From strictly functional to highly ornate, our entry, driveway, and garden gates are available in an endless selection of custom designs, such as flowing scrollwork, ornate castings, and rectangular, square, arched, rounded, or crown-like tops. We also offer a wide range of gate operator and access control options (keypads, intercom systems, telephone entry systems, keypads, card readers, and more) from such trusted brands as RamSet, DoorKing, and LiftMaster, and quality hardware, such as locks, levers, and latches. 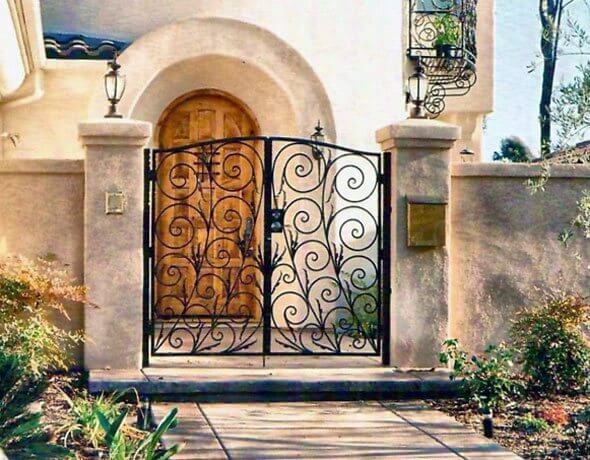 With our range of iron gate style, design, and finish options, you are certain to get the perfect iron gate to enhance the look and curb appeal of your Rancho Santa Fe home or business property. Call today. B.A. 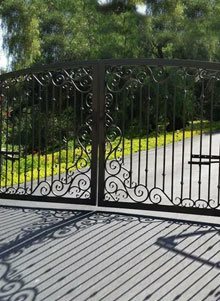 Ramirez & Sons Ornamental Iron Works has been installing, replacing, and repairing automatic/motorized driveway gates for customers across Rancho Santa Fe for decades. 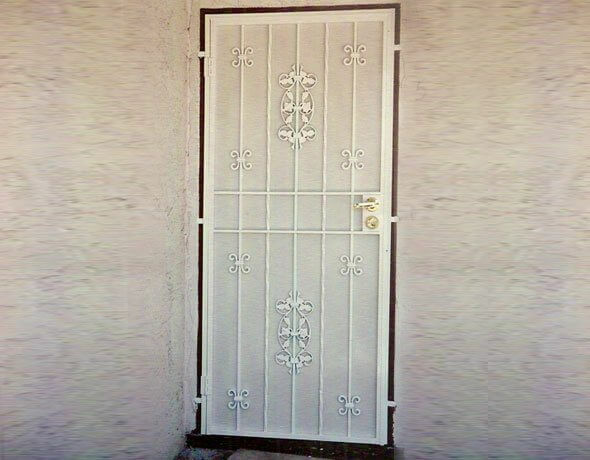 With our extensive experience and excellent reputation, we can be trusted to provide you with reliable, expert recommendations on the design, construction, hardware, and safety and security features for your automated gate. We are an authorized dealer for DoorKing, LiftMaster, Elite, RamSet, All-O-Matic, and Linear, and are capable of answering any questions you may have about these leading brands. We'll help you choose the right gate operator, access system, and other gate accessories based upon your functional needs and budget. We can also upgrade your fence with the latest safety feature devices, such as Opticom Rapid Access and vehicle detection loops. Call today to learn more; we offer free on-site consultations for new automatic/motorized gate installation and replacement as well as electric gate system repairs. B.A. 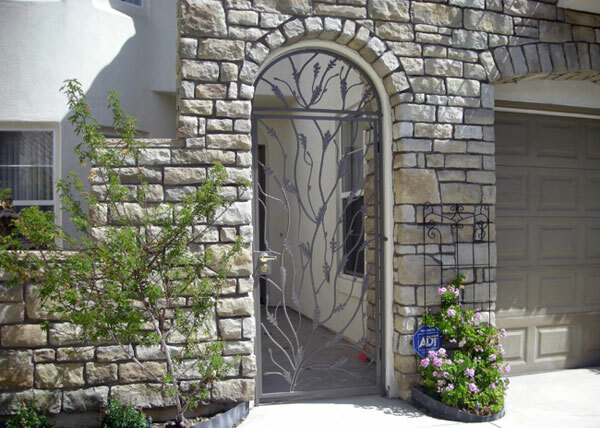 Ramirez & Sons Ornamental Iron Works, Inc. custom makes ornamental and wrought iron window guards, screen doors, entry doors, and wine cellar doors for Rancho Santa Fe homes and businesses. These iron doors and window guards look great, provide added security, and are competitively priced. Our craftsmen observe only the highest standards of craftsmanship and work hard to ensure that all of our ironwork complies fully with building and safety codes. Window guards automatically come with code-approved emergency releases and all of our doors can feature durable locks as well as state-of-the-art access control systems. We can craft your window guards and doors in any design you like and we offer numerous options for customizing and protecting them. Options include an array of casted iron designs, hand-forged scrolls, smooth or hammered looks, 100s of colors, and powder coating, metallization or galvanization. Contact us today for a free consultation and online estimate. Whether you are looking to install beautifully ornate railings on a staircase or strictly functional handrails along an incline at your Rancho Santa Fe home or business, you can trust the highly experienced craftsman at B.A. Ramirez & Sons Ornamental Iron Works, Inc. to provide you with unbeatable value. 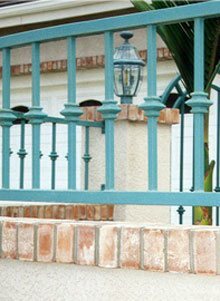 We offer an endless array of options for your Rancho Santa Fe commercial or residential railing needs, and can work with most budgets. Our railings are great for wrap around, spiral, circular and rounded stairways as well as balconies of all shapes and sizes. 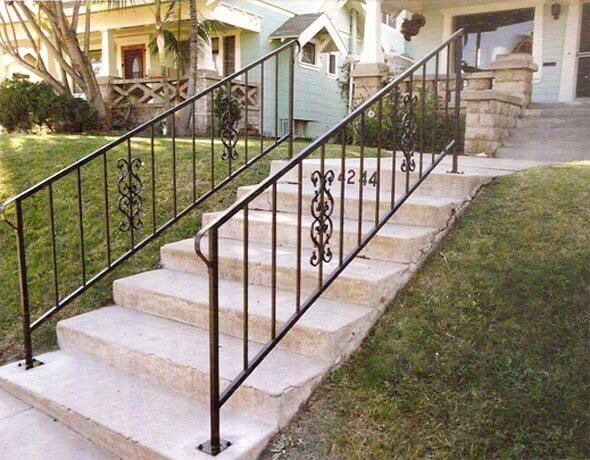 We also craft and install handrails and guardrails that meet current ADA standards. 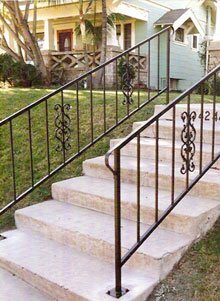 All of our railings, guardrails, and handrails are fully customizable: choose from 100s of colors, three types of anti-corrosion treatments, pickets or scrolls, casted iron designs, and more. 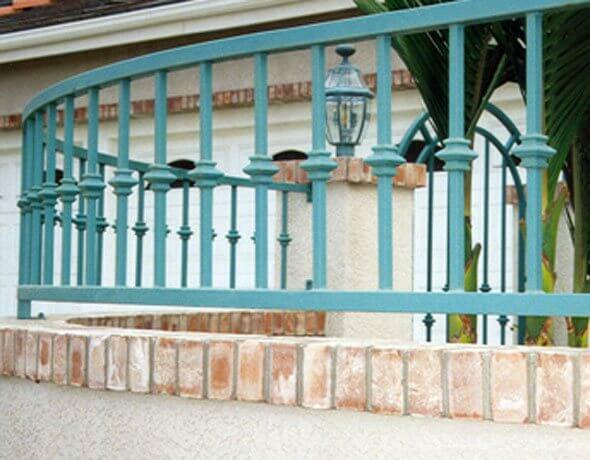 Call us today to learn more about our iron railing installation and replacement services for Rancho Santa Fe. Call B.A. Ramirez & Sons Ornamental Iron Works, Inc. today for all of your commercial ironwork needs in Rancho Santa Fe. Our iron work specialists will work closely with you to design the perfect iron fencing system, railing, gate, security door, or window guards for your Rancho Santa Fe business. Our expertly crafted iron security fences, gates, and doors feature lasting steel frame construction and a variety of access control options, making them the perfect solution for those needing more security at their store, warehouse, or corporate office. 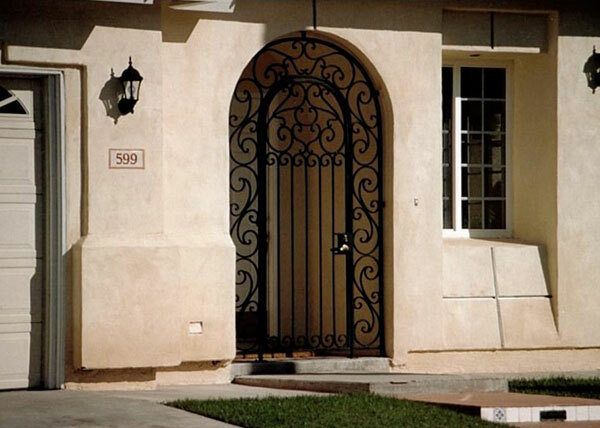 With our decades of experience, we are fully able to provide Rancho Santa Fe property managers and business owners with some of the most effective, affordable, and attractive iron security doors, gates, fences, and window guards available. For decades, B.A. Ramirez & Sons Ornamental Iron Works, Inc. has provided homeowners and residential communities in Rancho Santa Fe with beautiful iron fences, gates, railings, security screens, and window guards. We design all our residential iron work in Rancho Santa Fe to add simple, understated elegance to our customers' properties, whether it's a functional iron fence for enclosing yards, gardens, pastures, or pet enclosures; an iron pool fence with the latest safety features; an iron security fence with spear tops; or an iron property line fence to clearly define the perimeter of residential lots. Our iron fences are fully customizable and can be installed with copper backings to achieve a true patina effect while also enhancing privacy. Plus, our prices are very competitive and we offer a range of iron types, such as tubular and solid iron, so that we can accommodate most budgets and needs. Call us today to learn more about our iron fences and other residential iron work for Rancho Santa Fe. Online estimates and design consultations are provide at no charge and without any obligation. F6 This elegant Italian style steel fence in Rancho Santa Fe, CA protects a pool area and adds a nice touch to our client's home. The heavy look of the 2" square tube frame and posts along with the ¾" hammered vertical pickets and unique knuckle design is a custom design chosen by our client.